From 1988 to 1999 I worked for the Canadian Jewish Congress, the once proud Parliament of Canadian Jewry, as the national director of communications. It was an experience I will cherish for the rest of my life. I was 25 years of age, having worked mainly as a journalist for the now defunct Sunday Express, The Suburban and Monitor Newspapers. When I graduated from Concordia with a BA in Communications and Journalism, I decided that public relations might be a better career path than working full-time for a newspaper. 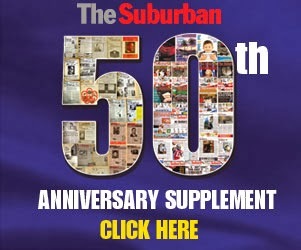 I did have a permanent posting at The Suburban, where I learned how to become a news reporter. It was there that I was assigned to cover a lot of Jewish community events. The Canadian Jewish Congress was among the organizations I wrote about. So when I heard they were looking for a communications director I applied, recognizing that my inexperience and young age would probably be a deterrent. But thanks to the head of the organization at the time, Jack Silverstone, I was given the chance of a lifetime. One week into my new job, Jack came to my office and told me to organize a press conference in Ottawa. We were meeting the Federal Minister of Justice to discuss the issue of Nazi war criminals residing in Canada. Wow! These were the days before internet. Fax machines had just become the rage. Somehow I figured out what to do. The morning of the meeting I picked up Jack and Professor Irwin Cotler, a past president of CJC and noted human rights activist, and off to Parliament Hill we went. Former Prime Minister Brian Mulroney had declared war on Nazis seeking safe haven in Canada. During my 11 years at the CJC, this dossier attracted a lot of attention. The government did indeed find Nazi war criminals in Canada, brought some to trial and even managed to revoke the citizenship and deport some of them. 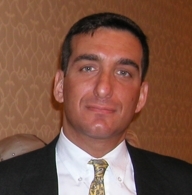 The most remarkable development came in November 1996 when I met American private detective Steven Rambam. He arrived at the CJC offices in Montreal with cameras from all over the world following his trail after a story broke in the Jerusalem Post Weekend Magazine, and in the Montreal Gazette. Rambam, then 39, had posed as Salvatore Romano, a professor of a fictitious university, St. Paul's University of the Americas in Belize, fabricating identification cards and even sweatshirts from the imaginary institution. Mr. Rambam told subjects that he was writing a thesis about police and army collaboration in the World War II. With Jerusalem Post reporters Robert Sarner and Steve Leibowitz acting as his assistants in some cases, Rambam interviewed a number of suspected war criminals living in Canada and tricked them into providing apparent confessions of their crimes. According to the original Gazette report, the private eye was given "a list of 157 suspected collaborators ... by the Simon Wiesenthal Center and Yad Vashem, a Holocaust memorial in Israel." In a telephone interview conducted from Jerusalem on November 21 Rambam told the Gazette he had obtained confessions from 58 accused, seven of whom had admitted killing Jews. Twenty-five were said to be living in the Montreal area. The report mentioned the graphic confession of Atanas Kenstavicius, who admitted participating in the murder of Jews from Svencionys, a region of Lithuania in which he acted as police chief during the Nazi occupation. In a November 27, 1996, item in the Jerusalem Post, Sarner and Leibowitz reported that . Rambam "met 60 of the suspects" over the past two years. Irving Abella,a former CJC president and then chairman of our war crimes committee, commented that he found it incredible how "one person working with meager resources had little trouble tracking down and getting confessions from alleged Nazi war criminals, while for 50 years the Canadian government has done very little." Rambam would become a media sensation a contact I appreciated connecting with for years to come. I left CJC in 1999 to join the English Montreal School Board as communications and marketing specialist. Interestingly, a new chapter between Rambam and myself had just begun. While working with CJC, Rambam set up a hotline and asked anyone with information that could lead to the prosecution of Nazi war criminals to contact him. One person did just that: Adalbert Lallier, a highly respected professor at Concordia University. Of French Huguenot origin, Lallier was born in 1925 in Hungary. He says he was forcibly drafted into the German army during World War II at the age of 17, along with his brother, who perished in the course of the war. While Lallier was a 19-year-old Waffen SS officer-in-training with the detail overseeing the work party in Leitmeritz, Czechoslovakia, he witnessed his immediate superior, an SS lieutenant, Julius Viel, randomly shoot seven Jews. After WWII, Lallier first worked at the International Refugee Organization in Vienna expediting the processing of East-European refugees, most often Hungarian Jews who had survived the Holocaust. Three years after immigrating to Montreal in 1951, he was admitted to the Honours programme in economics and political science at McGill University, graduating with an Honours B.A. In 1958 he was admitted to Columbia University, New York City, on a two-year graduate fellowship, to study economics and at the Russian Institute, obtaining an M.A. in economics, a Graduate Diploma in International Politics, and qualifying as a Ph.D. candidate. In 1960 he was engaged as a lecturer in economics and politics at Loyola College. He became Dean of Loyola's Evening Division in 1962, creating their evening degree program. During his long career at what then became Concordia University, he was one of the seven recipients of the John O'Brien Award for Teaching Excellence, and was eventually promoted to full professor. While teaching full-time, he resumed his graduate studies, in France, at the Sorbonne/ParisII, and was awarded a doctorat en sciences économiques, following which he did post-doctoral studies at the London School of Economics and Political Science. During the early 1970s, he was also Director of Lay Studies at Yeshiva Gedolah Markaz Hatorah, where he accommodated the mostly religious orthodox programme of this institution with Quebec's official policy concerning high-school education. From 1998 to 2000, Lallier testified four times before the Nazi war crimes court in Germany about what he saw during the Julius Viel incident, being the principal witness in the case against Viel, who was arrested and eventually convicted on the strength of Lallier's evidence. In the aftermath of the publicity surrounding the trial, Lallier resigned from the University in 2001 and currently lives on a farm outside Montreal. When Lallier became the subject of a documentary called Once a Nazi, I got a call from Rambam. He was coming back to Montreal and wanted to talk to students – with Lallier by his side. I agreed to set these lectures up. The media showed up in droves and the students had a living history lesson. I am now in touch with Lallier again. At the age of 87 he has written the manuscript for a fiction novel called Sin and Retribution. He takes elements from the Viel trial and his own past and meshes it together into a real thriller. I hope someone takes a look at it. Would be publishers can contact Janice Rosen at the Canadian Jewish Congress Congress Charities Committee National Archives at 514-931-7531 ext. 2 or emailjrosen@cjccc.ca. Yes, the book and main war criminal character is modelled around Viel. “It had been years earlier jumping around my head and deep within my conscience, having me recognize that it had become absolutely necessary to find out if Viel was still alive, which is why I eventually turned to Mr. Rambam,” Lallier shared with me. “ Presenting myself at the war crimes court in Ravensburg then became an essential condition towards the real portrayal about what is going on in the Bundesrepublik war crimes court - the necessity to grant me 24-hour security protection, because of the unpleasant presence of Holocaust deniers, former Waffen-SS members who had remained committed to their Oath of Fealty, neo-Nazi types of Germans, and others who seemed the ‘decent’ Germans who had learned their lesson. I needed this real-life exposure in order to gain a feeling whether the ‘new democratic Germans’ were a species totally different from their grandfathers and fathers who had loyally served Adolf Hitler. “My portrayal of ‘Karl-Johann Rainer’ and ‘Franz-Egon Zeuge’ expressed the real-life presence of Julius Viel and Standartenführer Kemper, the commandant of the officers' school. Having experienced Reichsdeutsch Herrenmensch officers' haughty attitudes and their conviction that they had become the masters over the lives and deaths of the Untermenschen, and faced, in the anti-tank ditch, the horrible reality - gruesome expression of that attitude - of that multiple murder, asking -secretly burried deep within myself - why both Jahweh and the three-image of the Christian God would have permitted that particular war crime to happen? Klara Lauber was the name given to the only Jewish child ever to have been conceived in a Nazi concentration camp, the child out of wedlock, of Bruno Lauber and his beloved Sarah Feiner. A child whose father, an Austrian Jew, was presumed to have been killed by a Nazi officer just before the end of the war, But whose mother, pregnant yet defying all odds, managed to survive. Liberated by the Red Army, Feiner and the remaining half-starved four thousand Jewish inmates were transferred, first into initial care by the International Red Cross, and then into American and British hospitals or convalescent homes_while the governments of Britain, Canada, France, and the United States would attempt to figure out what to do with possibly two millions of homeless European Jews, the estimated number that managed to survive the slaughter or gassing of another estimated six million. In late fall 1945, Sarah Feiner gave birth to a normal and healthy looking baby girl, named her Klara Lauber, and remained with her in Vienna until the Histadrutorganization brought both of them to Tel Aviv, arriving three months after the establishment of the State of Israel. Klara Lauber would have enjoyed a childhood typical of the young who were being raised in wartime and war-torn Israel, by their mothers whose husbands had died either in the Nazi concentration camps or in fighting for the independence and sovereignty of their biblical homeland. Sarah Feiner attempted several times without success to discover what had indeed happened to the father of her child, but finally gave preferring instead to secure for herself and her daughter a better future. She had absolutely no desire ever again to set foot anywhere in Europe. But the fate of Bruno kept on occupying her mind, all of which she was holding within herself. In her early teens, Klara only rarely asked any questions, even though she wondered at times, why her mother appeared most of the time quite unwilling to provide full details of her wartime suffering and life with her father. But she was not pushing for an answer, since many of her young Jewish schoolmates in Haifa, where her mother was living and working as a seamstress, were children of Holocaust survivors, most of whom were keeping silent, possibly desperately seeking to forget the tragedy of the concentration camps. In addition, and unlikequite a few of the other children of Holocaust survivors, Klara’s mother did not have even one photograph of her father, that Klara could look at in seeking to discover which parts of her face and of her being had come from Bruno Lauber. The day following Klara’s high-school graduation ceremony, Sarah decided to reveal the whole extent of her relationship with Bruno Lauber, the fact that they had not been able to get married and that Klara had actually been conceived out of wedlock. But, except for feeling that Bruno had been murdered in the “Small Fortress,” in which thousands of Jewish inmates had been executed, she was unable to provide Klara with any specific leads. The ultimate fate of Bruno continued remaining an unsolved mystery. Breaking down with the painful memories, the mother concluded her report by pleading with her daughter, to devote part of her adult life to the quest of finding her father’s killer and of bringing him to trial.